The EXOS Performance Specialist Certification is based on sound scientific evidence and over 15 years of practical experience working with all levels of athletes, tactical operators, and Fortune 500 employees. With over 10 years of experience supporting coaches, trainers, and therapists, the EXOS training system has become a proven resource for those in the field of human performance. The EXOS Performance Specialist Certification is based on the EXOS Training System which emphasizes the seamless integration of Mindset, Nutrition, Movement, and Recovery. This holistic approach assures that the athlete, client, or patient is empowered with individualized strategies on and off the training floor. Through a 8-component training system and a 4-component testing model, the EXOS Performance Specialist Certification brings to life a training system that can fit any population and environment. 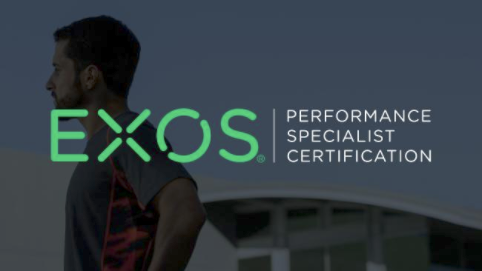 The EXOS Performance Specialist Certification curriculum contains 22 presentations categorized into 19 different courses. Each presentation emphasizes a theoretical framework, a program design framework, and best practices around coaching. Within the 19 courses there are 14 practical sessions that cover over 215 movements. Each practical is filmed from a coach’s perspective and emphasizes instruction, demonstration, error identification, error correction, and specific cueing. The curriculum has been designed to optimize learning and application of the information. All course videos have been chaptered with great detail to allow for easy navigation. Once all of the courses within the curriculum have been completed, then the certification exam will be made available. The certification exam contains 150 multiple choice questions based on the 22 presentations contained within the curriculum. Two opportunities to pass the exam with a passing grade being based on an 80% or better are included in your purchase. 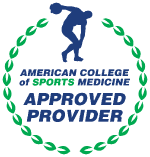 Upon successful completion of the exam you will be an EXOS-Certified Performance Specialist. We look forward to having you join our team and our mission to upgrade lives. Identify and describe the 8 training components within the EXOS Training System. Identify and describe the 4 testing components within the EXOS Training System. Provide a theoretical rationale for the importance of each training and testing component relative to an integrated system. Identify and differentiate program design recommendations based on individual, environment, and sport/goal considerations. Identify and prioritize common movement errors based on presented technical models for linear and multidirectional movements. Identify and prioritize common movement errors based on presented movement demonstrations across the 8 EXOS training components. Identify and describe effective coaching strategies based on the theoretical rationale provided within the coaching science and motivational science presentations.